The International HIV/AIDS Alliance (The Alliance) is a global partnership of organisations reaching out to communities most vulnerable to, or most affected by, HIV. These organisations include national NGOs and country offices in more than 30 countries, a secretariat in the UK and representative offices in the USA and Belgium. The size of the organisation and the number of regions it covers means that its language training requirements are far-reaching yet specific at the same time. Why did The Alliance choose Cactus Language Training? The ability for its employees to communicate in a variety of languages is a crucial element of The Alliance’s work, enabling it to carry out business with local communities effectively and speed development. The Alliance teamed up with Cactus in 2002 to provide additional corporate language training to a quarter of its workforce, including French, Spanish, Portuguese, Russian and Arabic lessons. Cactus was chosen due to the bespoke nature of the programmes and their expertise in teachnical language– enabling The Alliance to focus on the specific language goals of each group or individual in a variety of different settings. How was the training delivered? Cactus was tasked with providing flexible language training programmes to meet The Alliance’s changing needs. Alongside group lessons in Spanish and French, Cactus also developed one-to-one sessions tailored to the specific linguistic requirements of individual employees. The tailor-made language approach assesses the aims, skill areas and particular learning styles of individual staff members. Programmes are developed to include reading, writing and verbal communication skills, with testing and reporting systems in place to measure ongoing success. Cactus designed The Alliance’s curriculum to incorporate the specific vocabulary of international development to prepare staff for communicating effectively on the ground. Emphasis was also placed on language training for reading complex legal documents, such as contracts of employment, which are a daily part of the organisation’s operations. How has Cactus Language Training benefited the company? Would you recommend Cactus to other companies for Language Training? 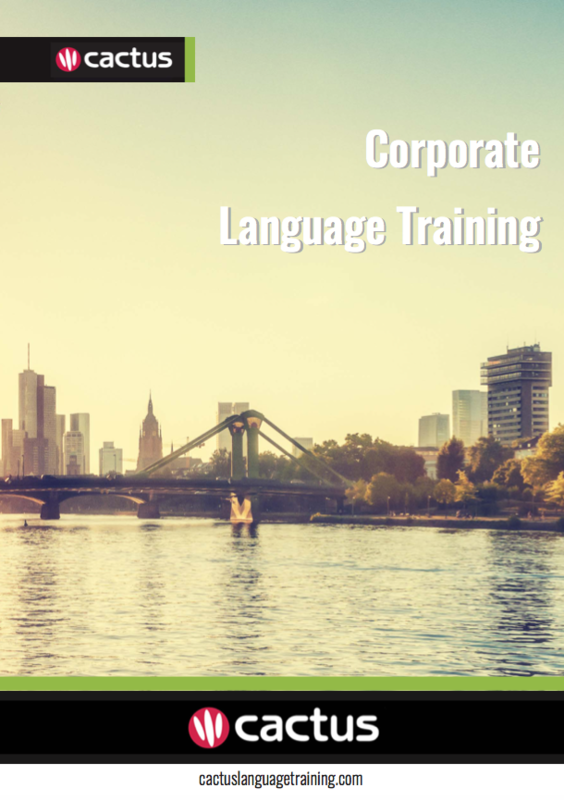 Contact us now to learn more about how Cactus Language Training can exceed your in-company language training requirements.